I’m a LEGO elitist and a baseball snob. So nothing makes me sadder than a product that manages to insult both these sensibilities. The following images hurt my feelings like nothing ever could. Full disclosure: I have an OYO Sports figurine of NY Met Yoenis “Yo” Cespedes, currently he is dancing in a very LEGO Trevvi Fountain in my bedroom. So OYO sports started out by making pro sports minifigures with crappy printing, but now they are making fake sets too. You can buy a team ballpark cart (wtf? ), a clubhouse press scene, and a baseball diamond. The latter is what fuels my outrage. Building a LEGO sports stadium would be a dream project, something others have already undertaken. 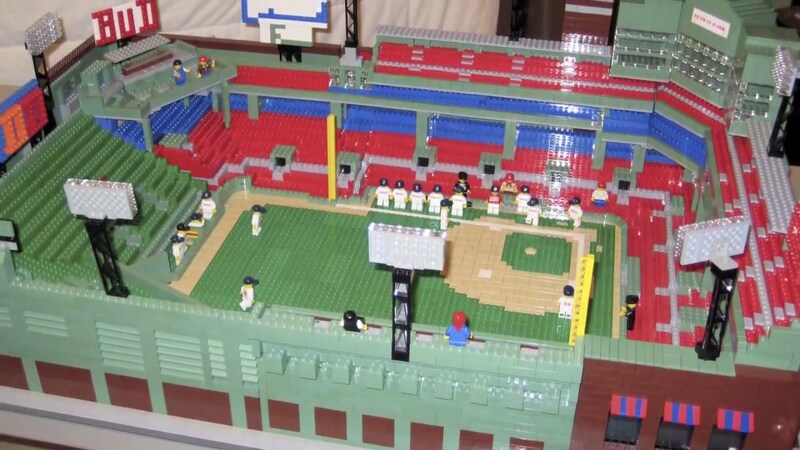 LEGO doesn’t have the license to make a replica of, say, Fenway Park, but others have tried. Still, it’s a shame there will be no ‘official’ LEGO baseball stadium, to go with the LEGO hotels and airports and cinemas they’ve put out over the years. Here’s the rule about building a LEGO stadium: the field is the LEAST INTERESTING PART OF THE CONSTRUCTION. All you need is a flat green piece. You can buy a big one from Toys R. US for $7.99. As a friend put it, “OYO has cut their field up into 151 pieces so they can pretend they have a 151-piece set.” This “set”, by the way, is sitting on top of…a flat green piece. Kind of stupid. It’s a 2D puzzle with minifigures sitting on top of it, except a baseball diamond is, uhhh, kind of a lame 2D puzzle. Alas, I wish I could say that these terrible kits don’t besmirch the good name of LEGO itself. But these bad knock-offs exact their own toll in this globalized market: the more other companies acquire attractive licenses, the more LEGO must compete with licensing of its own. More and more LEGO has receded from producing their own quirky brand of sets, and instead sells models of junk from your “favorite” movies and TV shows. Prince of Persia! Teenage Mutant Ninja Turtles! Dr. Who! The brand is alive, but my childhood is dead. You’ll be pleased to know I recently unsubscribed to OYO. But I thought they only made players. I am a LEGO purist and prefer black, red, white and clear blocks only.